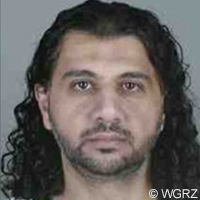 New York resident Arafat Nagi was indicted by a grand jury in August 2015 for attempting to provide material support to ISIS.“Arafat Nagi Indicted by Grand Jury,” Channel 2 WGRZ News, August 15, 2015, http://www.wgrz.com/story/news/crime/2015/08/12/arafat-nagi-indicted--grand-jury/31559001/. The FBI alleges Nagi traveled to Turkey in October 2012 and July 2014 hoping to meet with ISIS members in Syria.“United States of America against Arafat Nagi,” United States District Court, Western District of New York, July 28, 2015, http://download.gannett.edgesuite.net/wgrz/news/nagi.pdf. An acquaintance of Nagi alerted FBI agents in Buffalo, New York, of Nagi’s pro-jihadist statements within the Lackawanna community. The tipster allegedly stated that Nagi “was angry about the killing of rebels in Yemen, which he blamed on the United States; pledged an oath to ISIL leaders; expressed agreement with ISIL tactics, including the killing of innocent men, women and children,” using another acronym for the terror group.“United States of America against Arafat Nagi,” United States District Court, Western District of New York, July 28, 2015, http://download.gannett.edgesuite.net/wgrz/news/nagi.pdf. U.S. Customs and Border Protection (CBP) records confirm Nagi’s travels in 2012 and 2014 to Yemen via Turkey. On his return to the Detroit Airport on September 19, 2014, Nagi denied having any interest in Islamist groups in a CBP interview. Nagi stated that he went on a two-month long vacation “to get away from his family.” He told CBP personnel that he first spent 10 days in Istanbul and then proceeded to Yemen, where he visited Sana’a and then continued on to Nadra to visit an uncle, before returning to the U.S.
Nagi explicitly told the CBP he did not support AQAP, ISIS, or al-Qaeda central. The FBI agent’s statements added that Nagi’s denials were inconsistent with his social media and Internet statements.“United States of America against Arafat Nagi,” United States District Court, Western District of New York, July 28, 2015, http://download.gannett.edgesuite.net/wgrz/news/nagi.pdf. Nagi used Twitter to pledge his allegiance to ISIS leader Abu Bakr al-Baghdadi, and regularly tweeted about his goal to fight with ISIS in Syria.Mark Belcher, “Tweets, texts, more helped FBI build case against alleged ISIL terrorist,” WIVB News 4, July 29, 2015, http://wivb.com/2015/07/29/tweets-texts-more-helped-fbi-build-case-against-alleged-isil-terrorist/. The FBI reviewed more than 7,000 tweets from Nagi’s own accounts and retweets of Nagi’s statements from 278 different Twitter users. The FBI believed that approximately half of Nagi’s followers were connected to ISIS either as sympathizers or members of the terror group.Mark Belcher, “Tweets, texts, more helped FBI build case against alleged ISIL terrorist,” WIVB News 4, July 29, 2015, http://wivb.com/2015/07/29/tweets-texts-more-helped-fbi-build-case-against-alleged-isil-terrorist/. The FBI also reviewed Nagi’s profile on Tango, an app which provides free calls and messaging. The messaging provided access to conversations Nagi had with friends while travelling. The FBI alleges that in one Tango message from Nagi in 2014, he admitted he was not in Turkey for vacation.Mark Belcher, “Tweets, texts, more helped FBI build case against alleged ISIL terrorist,” WIVB News 4, July 29, 2015, http://wivb.com/2015/07/29/tweets-texts-more-helped-fbi-build-case-against-alleged-isil-terrorist/. In 2013, Lackawanna Police arrested Nagi for threatening to behead his daughter. Mark Belcher, “Tweets, texts, more helped FBI build case against alleged ISIL terrorist,” WIVB News 4, July 29, 2015, http://wivb.com/2015/07/29/tweets-texts-more-helped-fbi-build-case-against-alleged-isil-terrorist/.